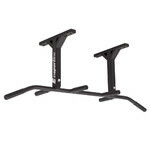 Sturdy frame, adjustable and comfortable grips, high-quality coating. 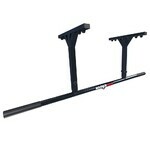 Ceiling-Mounted Pull-Up Bar inSPORTline C-Bar is a practical accessory for every home gym. 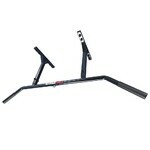 The robust frame anchored firmly to the ceiling provides stability and a 120-kg weight limit. The C-Bar is made of high-quality steel with a special scratch and wear resistant coating. 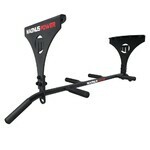 There are two adjustable grips made of EVA material, allowing for a wider range of exercises. 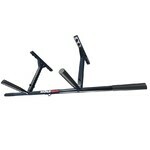 The height of the bar can be adjusted to two positions. 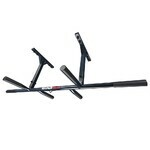 Ceiling-Mounted Pull-Up Bar inSPORTline C-Bar is an ideal tool for bodyweight training in your home. 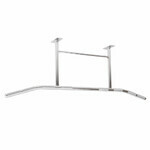 How to Choose a Ceiling Pull-Up Bar?